As Annie Lennox sang in the Eurythmics, “Here comes the rain again…”, we are now experiencing more wintery showers and occasional heavier down pours as we get set into Winter properly. Typically, normal windows that are built into the wall of a home aren’t affected by the rain as they are on the side of the building. 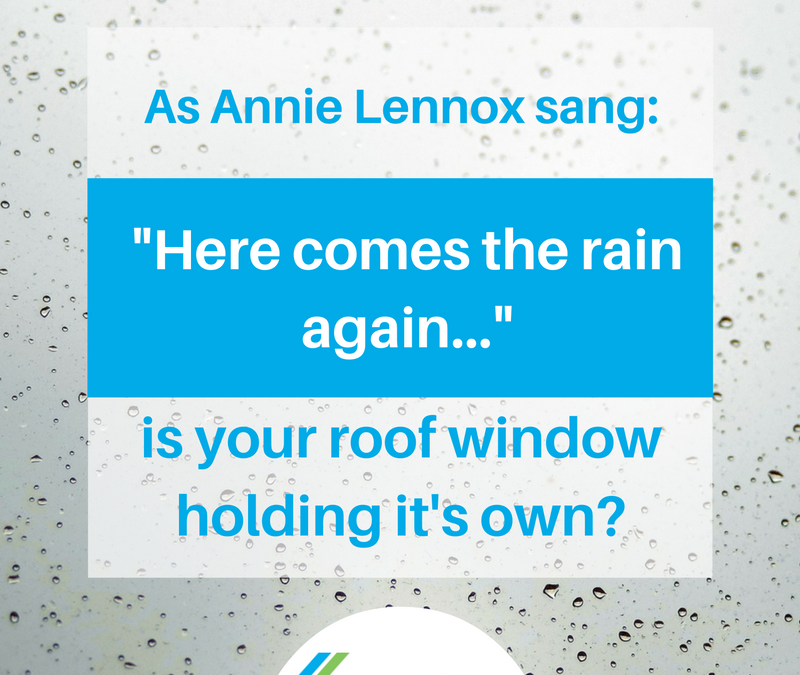 Although this is not always the case as if you have a damaged window frame, whilst experiencing heavy, driving rain – it can get through and cause mini puddles on your window sill. Now, with Roof Windows or Skylights, these can be affected by the rain because of their positioning in the roof. I say “can be affected” because if they have not been installed or fitted properly, you may find yourself placing a bucket, saucepan… or whatever receptacle that you can place your hands on, to catch the drips. Skylight Fitters provide a 2 year warranty with our installations, which is separate to the 10 year warranty provided by the window manufacturers. We trust that our fitters would have executed an excellent quality installation in the first place, which is why we are proud to be able to offer our 2 year warranty – however – should there be any issue, we would be more than happy to revisit your property and repair or fix any roof window leaks that may occur. With that being said, that is based on our quality workmanship. Should your property have had roof windows installed for some time, they may develop a fault or leak over time. In which case we would, again, be more than happy to see if we can help repair the roof window for you. In some cases the age of the roof window maybe beyond repair and a replacement roof window may be in order. Only a site inspection would be able to help make that decision. Where possible, we always try to repair any leaking roof windows but as I said previously the age of the roof window may prevent a cost effective repair.